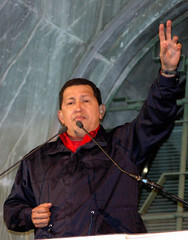 Venezuelan President Chavez once asked me why the US elite wanted to kill him. My dear Hugo: It’s the oil. And it’s the Koch Brothers – and it’s the ketchup.